Have you heard this waterfalls already? 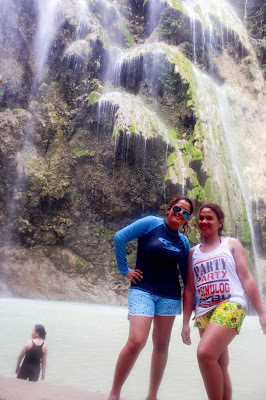 This falls is one of the best and top tourist attraction in the town second to whale shark watching. 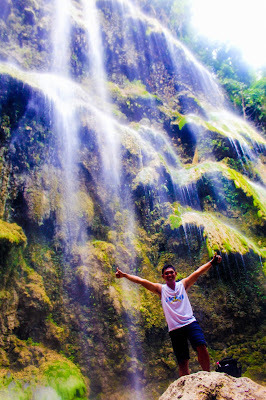 Tumalog falls will give you a shock because it is not a kind of waterfalls you are expecting. It is not as deep as you think and not a kind of rush water from above as what you've seen from other waterfalls. 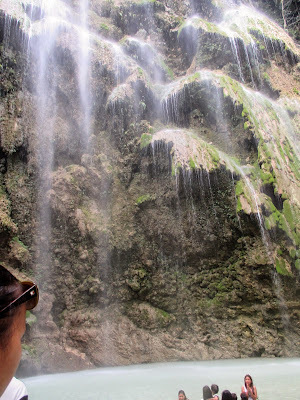 Tumalog falls offers you umbrella like waterfalls. You're just like taking a bath under the rain so it's very cool. How to get to Tumalog waterfalls in Oslob Cebu. From Cebu City you can ride a bus (ceres bus or sunrays bus) bound to Oslob or Santander. 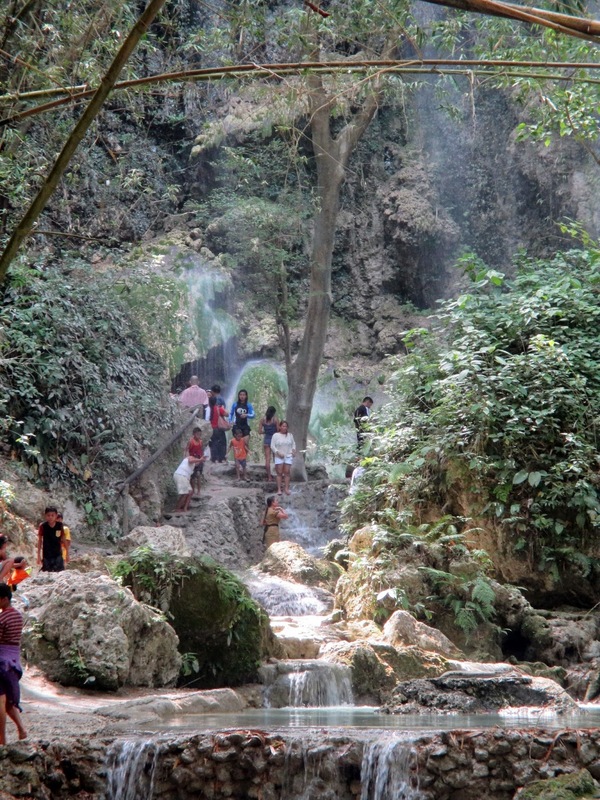 Tell the bus driver that you are going to Tumalog falls. After reaching the little skenita, you're going to ride a motorcycle (fare is 30 pesos each). After a little walk from skenita, you will reach the Tumalog waterfalls, the pride of Oslob. Entrance fee is 20 Pesos.